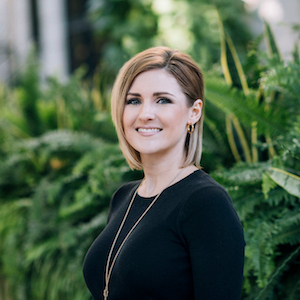 As a marketing expert in the real estate industry, Ashley brings a lust for strategic branding, a flair for the creative, and the ability to build a genuine rapport with clients, vendors, and colleagues based on her innate enthusiasm and passion for what she does. Ashley specializes in driving project branding and strategic marketing setting RLKK’s listings apart from the competition. Ashley has an eye for design and works with all of our listing clients on staging and preparing their home to go to market. She then works side by side with the photographer to ensure the photos tell the story of the home and draw in buyers. Throughout the transaction process, Ashley is in constant communication with our clients, keeping them updated on their transaction from contract to closing. She works directly with every service partner and party to the contract to ensure the transaction smoothly coasts through the finish line. Ashley is the backbone of the team and continues to execute and innovate cutting-edge ideas.